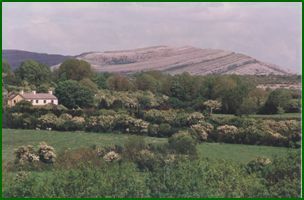 <<< Glimpse of Fergus View nestling in the shadow of Mullach Mor one of the Burren's most famous hills and now part of the Burren National Park. 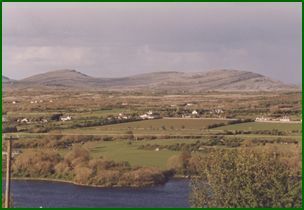 This picture is taken from Crossard, Kilnaboy. 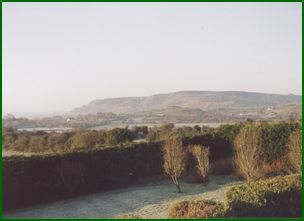 <<< The last frost of 2003. 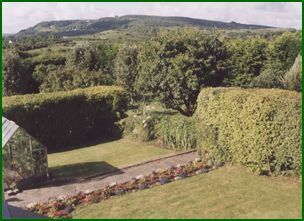 Front view facing Clifden Hill. 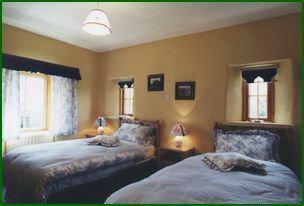 <<< Inside bedroom in Tigh Eamoin.